Hey John Finally found a CD copy of Silver. Saw you several times during the 70s in Santa Monica and Hermosa Beach. While listening to the Silver CD it struck me what is missing from today's music....harmony. You guys sounded great. Mr. Batdorf - I will be attending your upcoming concert at The Oasis in San Diego. This will be my first time having the pleasure of seeing you live. I've been listening to your music for a while.I know you'll be making set lists and I have a few requests. Ain't No Way Ain't Dead Yet What d'ya got Don't seem right to me I rather you played everything you'd ever written but there won't be time for that. Thanks and I look forward to the show. Love your music! Been listening since 1972-1973 when I picked up "Off the Shelf". German **** review for "Beep Beep" on cooltourist website!Hoer.TestKeep On Rockin! Loved seeing you at Utah's Substance Abuse Fall Conference!!! You were great!!!! John - Great concert at Flamig Farm in CT. You were awesome! 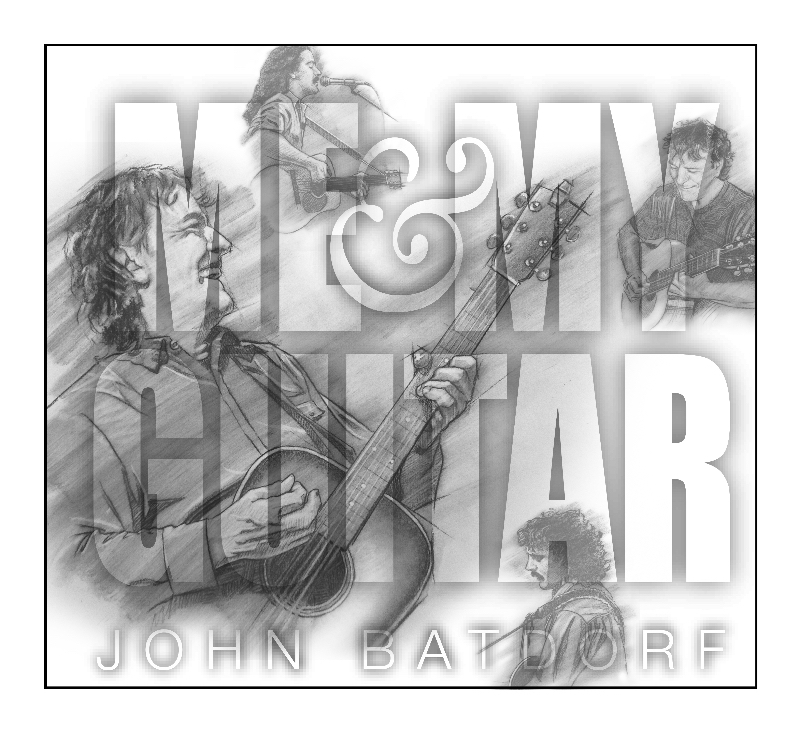 John Batdorf's uniquely passionate vocals and guitar playing landed him his first major record deal back in the 70's with Atlantic Records - and he's continued to develop and grow as an artist to this day. 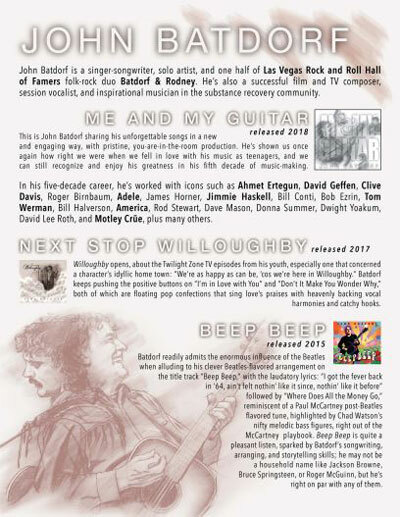 Great Liner Note - on the new BeepBeep CD. Looking forward to listening to all of the Songs. Only 63 years young?Man You probably have at least another 10 to 15 Productive Musical Years to go - at least. Had the chance to meet you last night at Linda's birthday party. I was there with Bob Lucero. Your lyrics are inspirational. I was the one who came up to talk about "never leave me" at the end of the party. Thank you for a memorable evening. Caught you at Sundilla in little old Auburn AL last week....so great John - wow. Thank you for coming here-I plan to buy a few more CDs. Loved your music! Hope to see you back in Beavercreek soon. Just heard "Can You See Him" on XM's Deep Tracks channel...and now I'm buying "Portfolio" from iTunes. New fan here! My husband Ross and I love your music. The lyrics and harmonies take us to A Gentler Time indeed and we thank you for that.